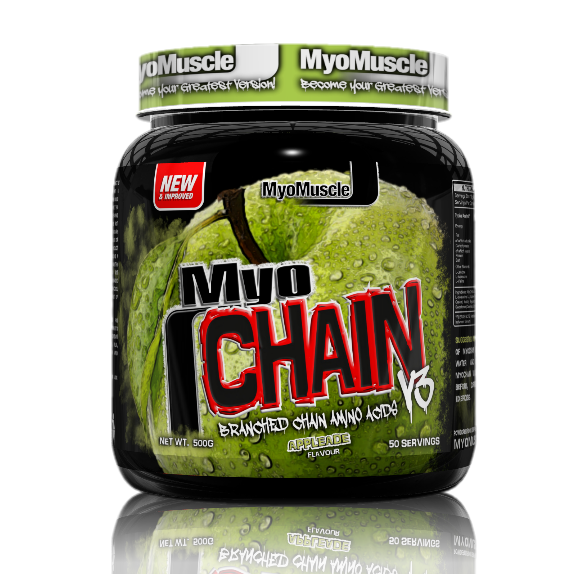 MyoCHAIN V3 is exactly what a Branched Chain Amino Acid (BCAA) formula should be! A blend of ultra concentrated: L-leucine, L-Isoleucine and L-valine. That’s it, nothing else! We’ve gone back to basics and stuck to the PROVEN ingredients & Ratios. Unlike other amino acids the unique BCAAs in MyoCHAIN V3 are utilised directly in muscles. This means more BCAA's are used for muscle growth & recovery instead of being destroyed before getting there!... When we developed MyoCHAIN V3 we knew we had to raise the bar on the hugely popular, preious MyoCHAIN V2! How did we do it? We gave you more of what you love! 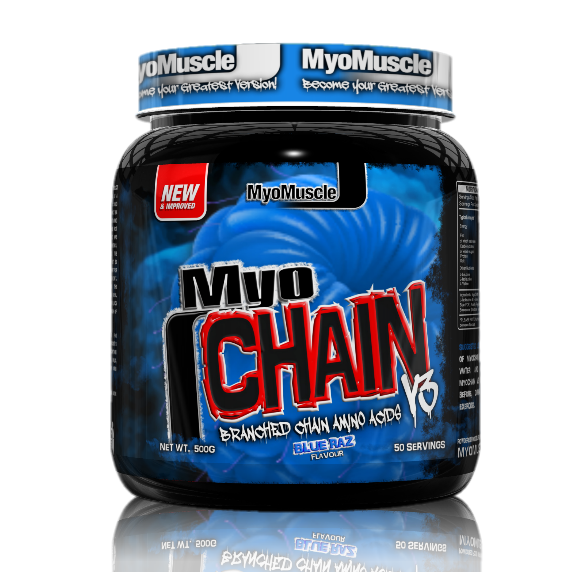 MyoCHAIN V3 now offers a huge 50 servings in every tub! Plus we've brought out some delicious new flavours 'Appleade' and 'Blue Raspberry'. What isn't to love about MyoCHAIN V3? "I got a sample of 'appleade' with a recent order and it was great tasting and easy to mix. I'll be getting some of this on pay day!"